My childhood was spent on an average sized family farm. In the past great measures of our property had been covered by vines that had long ago ceased producing at full capacity. At some point my father and one of his brothers decided to turn to vegetable farming as a more profitable source of income. 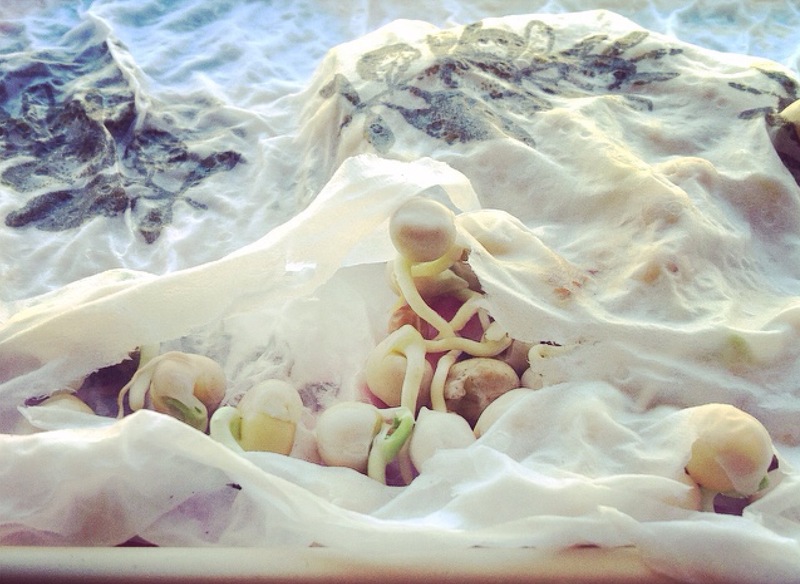 In-between trial and error and the eventual switch to organic vegetables and herbs, I experimented with little cotton-wool sprouted vegetable garden. This is probably something that most people outgrow as they get older, but at the age of 32 I still love it. Surely you can never be too young to be exposed to different ways of self sustainability, but in particularly food security. My very personal opinion on this is that as a vegan you are highly able to feed yourself. In fact it should be far easier for you than your carnivorous neighbor. I’ve started a vertical garden for my daughter to get involved in while I’m re-doing the garden (very much still in the planning stage as I want to up-cycle as much as possible and it’s proving more challenging than I originally thought. The baby garden has been made up out of empty tins painted bright colors. I really think it’s going to look great once the creeper fills in the spaces between. Do you have any garden motivations or tips to share? I would gladly read them. Check out http://Www.theunconventionalfarmer.com please. It teaches probiotic farming methods and Korean fertilization techniques through fermentation. 🙂 happy gardening ! Thanks for the link. The page on worm composting will come in most handy.